Morning readers, remember i promise to write more about my beauty tips. Today i'll be sharing about my cleansing philosopy. Cleansing is probably the most important part of my basic skin care routine. My skin tone is more towards yellow, and i've been searching for cleanser that can helps me to brighten my dull skin. 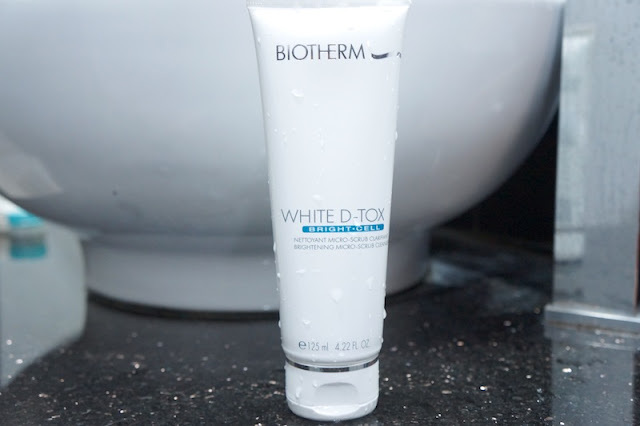 Then i found Biotherm White D-Tox cleanser. The blue micro-scrub beads helps to scrub away the impurities. Because the beads are so tiny that you can use it everyday. Everyone would know their skin type and choose a suitable skin care (ok, maybe some of you do not), but i bet not everyone would know how to correctly use their cleanser. 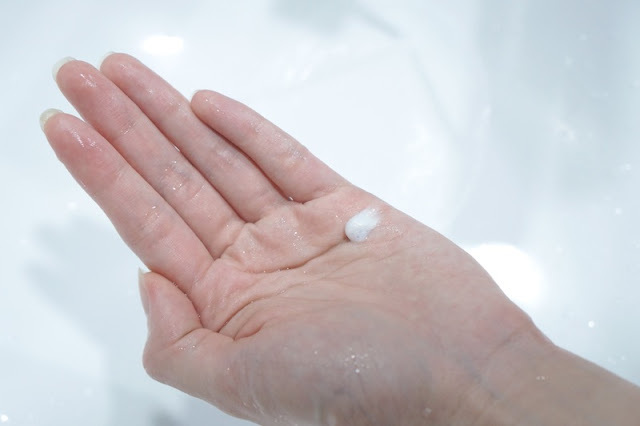 #1 Squeeze a dime-sized amount of cleanser onto wet palm. #2 Rub your hands together to create a lather. Add some water if necessary, then it would become something like the picture below. #3 Gently massage the cleanser all over your face, starting with your cheeks about 20 to 30 seconds. Last step #4 which everyone knows, rinse your face with water. I personally suggest to rinse with cold water because it helps to minimize pores. You can use warm water at the beginning of the cleansing steps if you want. After cleansing, my skin feel fresh and supple. Most people would have a myth believing skin should feel tight after washing, but this is wrong. You probably using a cleanser that are too harsh. Thanks Hermo for giving me this chance to reveal my radiant skin. 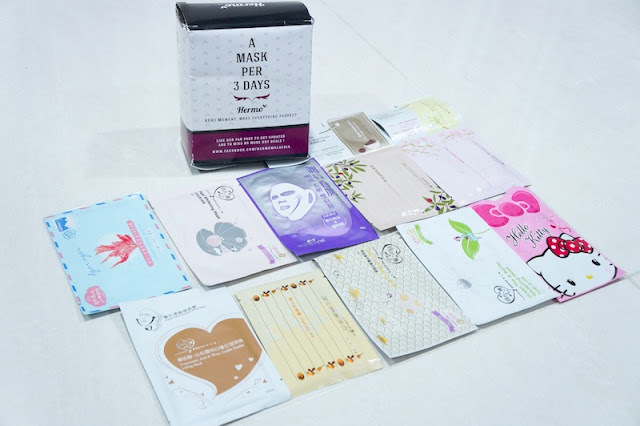 Another thing you girls should practice is do a mask per 3 days. Always remember to only do for 15 to 20 mins as your cells absorption has certain limit. Do not ever leave your mask overnight unless specifically states it's a sleeping mask. 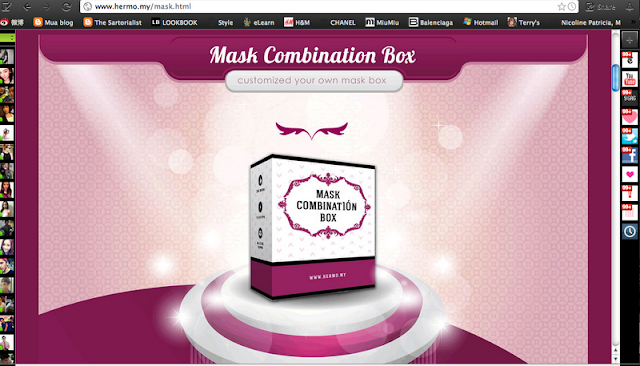 Hermo is even better by allowing us to customize own mask box (like the picture above), which normally retailers wouldn't have this kind of service. You guys would probably think why should you purchase from Hermo, when you can get the products outthere at any big retail outlets which you could enjoy real life experience testing the products! 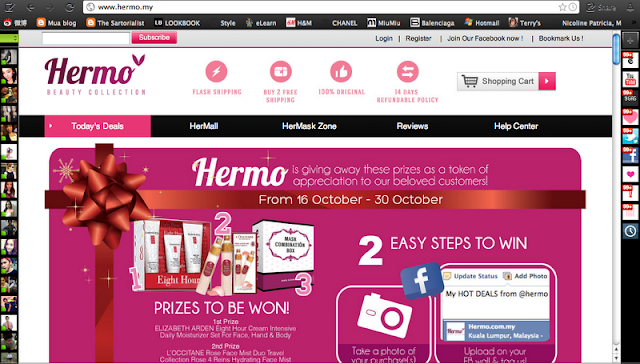 More details, you can go to their FB page www.facebook.com/HermoMalaysia or visit Hermo website www.hermo.my.